QuickFixWest is the cell phone, computer repair store which provides the best high-quality service. Do you need to fix a cracked tablet screen, bring it to us we will fix 100% for you? We repair every trouble in your device such as screen replacement, battery replacement, charging port repair, glass replacement, etc. We handle it with much care same as we handle our device. QuickFixWest is the cell phone, computer repair store which provides the best high-quality service. Do you need to fix a cracked tablet screen, bring it to us we will fix 100% for you? We repair every trouble in your device such as screen replacement, battery replacement, charging port repair, glass replacement, etc. We handle it with much care same as we handle our device. Marietta Martial Arts is dedicated to providing a safe and family-oriented Martial Arts experience for students of all ages 4 and up. We promote physical fitness and positive social interaction in a courteous and fun atmosphere. Our greatest responsibility is to instill a sense of discipline and a code of ethics to inspire students to lead exemplary lives as leaders in the community. Students of Martial Arts have many reasons for their interest in training with martial arts. Marietta Martial Arts is dedicated to providing a safe and family-oriented Martial Arts experience for students of all ages 4 and up. We promote physical fitness and positive social interaction in a courteous and fun atmosphere. Our greatest responsibility is to instill a sense of discipline and a code of ethics to inspire students to lead exemplary lives as leaders in the community. Students of Martial Arts have many reasons for their interest in training with martial arts. Hall County Karate offers the only traditional Japanese Karate class in Flowery Branch, Georgia. Our art focuses on self-defense, and our instructor has over 30 years experience. We have two locations, one in downtown Gainesville, GA, and we also have classes in Flowery Branch, GA. We are a local and veteran owned business. Hall County Karate offers the only traditional Japanese Karate class in Flowery Branch, Georgia. Our art focuses on self-defense, and our instructor has over 30 years experience. We have two locations, one in downtown Gainesville, GA, and we also have classes in Flowery Branch, GA. We are a local and veteran owned business. 3T Karate in San Antonio is a great place to learn Karate and Martial Arts for the entire family. The comprehensive Martial Arts training at 3T helps to keep you and your family safe. 3T Karate in San Antonio is a great place to learn Karate and Martial Arts for the entire family. The comprehensive Martial Arts training at 3T helps to keep you and your family safe. XINYI-DAO is a complete Kung Fu system which SCIENTIFICALLY INTEGRATES the essential elements of Shaolin Kung Fu, Internal Martial Arts, Self-Defense Techniques, Sanshou Sparring, Qigong, and Zen Meditation. XINYI-DAO HELPS YOU DEVELOP physical strength & flexibility, internal power, mental focus, awareness, concentration, self-confidence, and discipline. XINYI-DAO is a complete Kung Fu system which SCIENTIFICALLY INTEGRATES the essential elements of Shaolin Kung Fu, Internal Martial Arts, Self-Defense Techniques, Sanshou Sparring, Qigong, and Zen Meditation. XINYI-DAO HELPS YOU DEVELOP physical strength & flexibility, internal power, mental focus, awareness, concentration, self-confidence, and discipline. The Washington Metro area's original Brazilian Jiu-Jitsu and Thai Boxing school, we also specializing in Sombo, Judo and Wrestling. Lloyd Irvin also has kids karate classes and an after school karate program where they transport kids from local schools in Maryland to do jiu jitsu. The Washington Metro area's original Brazilian Jiu-Jitsu and Thai Boxing school, we also specializing in Sombo, Judo and Wrestling. Lloyd Irvin also has kids karate classes and an after school karate program where they transport kids from local schools in Maryland to do jiu jitsu. Key Martial Arts is a dojo dedicated to teaching effective self defense and traditional martial arts values such as integrity, discipline, and respect. Key Martial Arts is a dojo dedicated to teaching effective self defense and traditional martial arts values such as integrity, discipline, and respect. At MyDojo Martial Arts Fitness Centers, we understand that the true Dojo ("training place") is the human body. As you train, and better understand the cycle of growth and development, your attitude also changes as you learn that the human body is, in fact, a Dojo. And with this new understanding, comes a new acceptance, approach and appreciation to create a better student (be that yourself or your child), through the collision of tradition and contemporary, is the MyDojo way. At MyDojo Martial Arts Fitness Centers, we understand that the true Dojo ("training place") is the human body. As you train, and better understand the cycle of growth and development, your attitude also changes as you learn that the human body is, in fact, a Dojo. And with this new understanding, comes a new acceptance, approach and appreciation to create a better student (be that yourself or your child), through the collision of tradition and contemporary, is the MyDojo way. Impact Martial Arts - Team Dewitt is committed to maximizing your progress and growth. We LOVE to help people transform their lives mentally, physically & emotionally through a combination of martial arts training and modern success philosophy. We proudly serve the Dewitt, Jamesville, East Syracuse, Fayetteville, Minoa and Syracuse, NY communities. Impact Martial Arts - Team Dewitt is committed to maximizing your progress and growth. We LOVE to help people transform their lives mentally, physically & emotionally through a combination of martial arts training and modern success philosophy. We proudly serve the Dewitt, Jamesville, East Syracuse, Fayetteville, Minoa and Syracuse, NY communities. Trautwein’s ATA, located in Sarasota, Florida, is the leader in providing martial arts training in a safe, fun environment. Our Karate For Kids Program helps children ages 4 and up develop martial arts skills, social skills, self-discipline, responsibility, teamwork and respect for self and others. Trautwein’s ATA, located in Sarasota, Florida, is the leader in providing martial arts training in a safe, fun environment. Our Karate For Kids Program helps children ages 4 and up develop martial arts skills, social skills, self-discipline, responsibility, teamwork and respect for self and others. Teaching personal and character development through traditional martial arts training in Indianapolis for ages 3 through adult since 1995. Teaching personal and character development through traditional martial arts training in Indianapolis for ages 3 through adult since 1995. Martial Arts Classes. If you are looking for Carlsbad martial arts, Encinitas martial arts or San Marcos martial arts, call Team Mai today. Karate training for children & adults. Free Two-Week Trial. Martial Arts Classes. If you are looking for Carlsbad martial arts, Encinitas martial arts or San Marcos martial arts, call Team Mai today. Karate training for children & adults. Free Two-Week Trial. Sandoval Freestyle Karate offers lessons for all ages in martial arts. We have kick boxing, taekwondo classes, and something for everybody! Our instructors are very knowledgeable and patient. We have classes for all age groups. Visit our website for more information, testimonials on our business, and videos of our classes. Or feel free to call us today! We also have a Gilbert location. Sandoval Freestyle Karate offers lessons for all ages in martial arts. 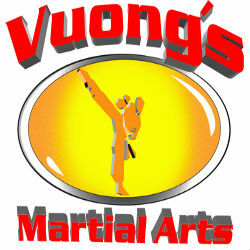 We have kick boxing, taekwondo classes, and something for everybody! Our instructors are very knowledgeable and patient. We have classes for all age groups. Visit our website for more information, testimonials on our business, and videos of our classes. Or feel free to call us today! We also have a Gilbert location. Learn Brazilian Jiu Jitsu from a world class instructor and champion. Brazilian Jiu-Jitsu allows a smaller person to submit bigger opponents through the use of proper ground fighting techniques. The effectiveness of Brazilian Jiu Jitsu has been recognized and incorporated into a variety of programs including military special forces and women's self-defense. In mixed martial arts, proficiency in grappling and ground fighting has become a prerequisite. Learn Brazilian Jiu Jitsu from a world class instructor and champion. Brazilian Jiu-Jitsu allows a smaller person to submit bigger opponents through the use of proper ground fighting techniques. The effectiveness of Brazilian Jiu Jitsu has been recognized and incorporated into a variety of programs including military special forces and women's self-defense. In mixed martial arts, proficiency in grappling and ground fighting has become a prerequisite. Nak Muay Gym Chalfont is the first and original MMA school in Chalfont Bucks County. Don't be fooled by other schools in the Doylestown area claiming to teach MMA. They are simply watered down, former karate schools, big corporate franchised money pits. Learn Brazilian Jiu Jitsu and Muay Thai Boxing for 30 days free. Minutes from Doylestown, PA. Nak Muay Gym Chalfont is the first and original MMA school in Chalfont Bucks County. Don't be fooled by other schools in the Doylestown area claiming to teach MMA. They are simply watered down, former karate schools, big corporate franchised money pits. Learn Brazilian Jiu Jitsu and Muay Thai Boxing for 30 days free. Minutes from Doylestown, PA.
MSST believes that to truly be centered, to harness your full power and achieve your full potential you have to exercise your mind, body, and spirit. This philosophy requires you to accept the things that cannot be changed in this ever-changing world. However, in accepting this fact you can learn to control certain situations by taking personal responsibility in ensuring the safety and preparedness of yourself and loved ones. MSST believes that to truly be centered, to harness your full power and achieve your full potential you have to exercise your mind, body, and spirit. This philosophy requires you to accept the things that cannot be changed in this ever-changing world. However, in accepting this fact you can learn to control certain situations by taking personal responsibility in ensuring the safety and preparedness of yourself and loved ones. Our state of the art equipment is brand new and ready for you. We are very unique from other fitness centers, offering classes in Zumba, Spinning, Indoor Cycling, Boot Camp Classes, Yoga and Karate. We are locally owned and operated; our staff and instructors are very knowledgeable, friendly, and personal. We care about your fitness needs and want to make it convenient, fun, clean, safe, and affordable. No matter what your level of fitness, you can set and meet your goals in our friendly. Our state of the art equipment is brand new and ready for you. We are very unique from other fitness centers, offering classes in Zumba, Spinning, Indoor Cycling, Boot Camp Classes, Yoga and Karate. We are locally owned and operated; our staff and instructors are very knowledgeable, friendly, and personal. We care about your fitness needs and want to make it convenient, fun, clean, safe, and affordable. No matter what your level of fitness, you can set and meet your goals in our friendly. MMA Mixed Martial Arts Dojo includes specialized Self Defense training from the world famous Blind Martial Artist Sensei Mark Brown and the Mill Hill Dojo. Learn Karate and Polecat MMA with our free Self Defense and Combat training videos and information. MMA Mixed Martial Arts Dojo includes specialized Self Defense training from the world famous Blind Martial Artist Sensei Mark Brown and the Mill Hill Dojo. Learn Karate and Polecat MMA with our free Self Defense and Combat training videos and information.